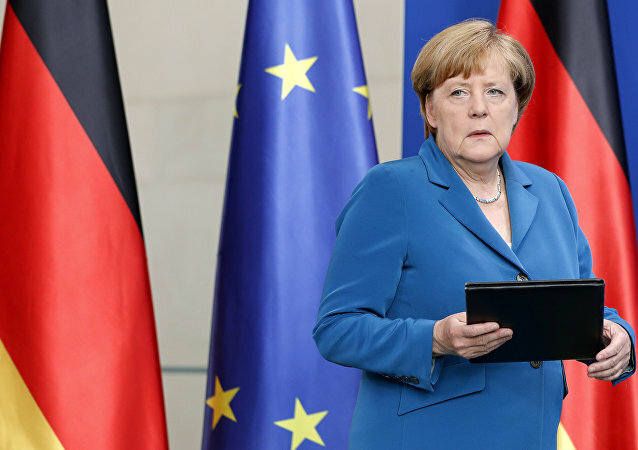 Angela Merkel’s political fortunes continue to falter as several hundred thousand new migrants flood into Germany amid an outbreak of terror attacks. Germany is on high terror alert following another round of attacks that have shocked the country leading Germany to urge citizens to stockpile resources for the first time since the Cold War. Riyadh Vows to Check Saudi Trace in Bavaria Attacks, But Can They Be Trusted? Spiegel has reported that the two terrorists who carried out attacks in the German cities of Ansbach and Wurzburg had been in contact with Saudi Arabia-based Daesh associates. On Saturday, the magazine added that the Saudi government has offered German authorities help in investigating the alleged Saudi trace. But can Riyadh be taken at its word? 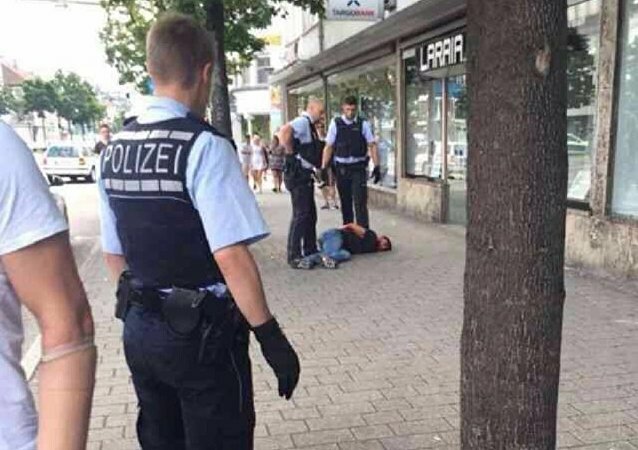 The terrorists who carried out attacks in the German cities of Ansbach and Wurzburg last month planned their attacks with the help of Saudi Arabian Daesh members, Der Spiegel reported. German Chancellor Angela Merkel has said she will stand by her "open doors" policy for refugees in spite of a series of terror attacks, which have included asylum seekers with links to Islamist militants. Officials in the German state of Bavaria have called on German Chancellor Angela Merkel to introduce a crackdown on security and immigration measures across the country, following recent attacks in the region, with Bavarian officials declaring that "Islamist terror" had reached Germany. Refugees have affectionately referred to Angela Merkel as "Mutti" (mama), praising the chancellor for her open door policy that has allowed more than a million of asylum seekers to settle in Germany. But a week of migrant-related terror in Bavaria and Baden-Württemberg has given birth to a new nickname for Merkel, "Mutter Terroresia." Germany’s prosecutor general took over the investigation of the Ansbach suicide attack, the office said in a press release Monday. 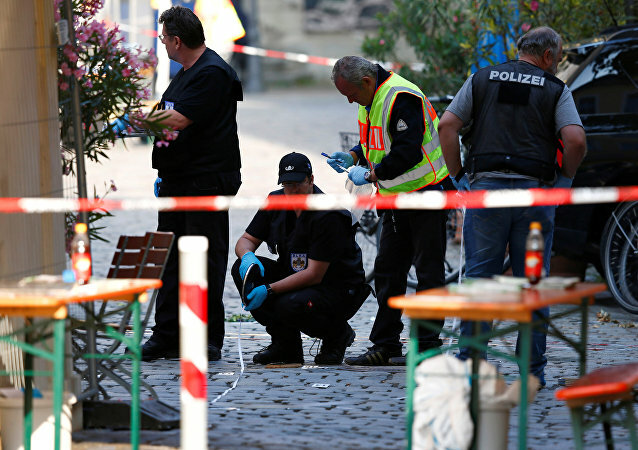 Daesh jihadist group claimed responsibility for the suicide attack in the German city of Ansbach, media reported Monday. The US Army Garrison Ansbach in Germany is boosting security measures following a recent suicide bombing. Germany's intelligence agencies had no information about the Syrian nationals responsible for the attacks in Ansbach and Reutlingen, the country's interior minister said. The Ansbach suicide bomber pledged allegiance to Daesh, the Bavarian interior minister said Sunday stating that the attack was an act of terrorism. The Syrian man who detonated a bomb in the Bavarian city of Ansbach was going to be deported to Bulgaria, according to the German Interior Ministry. Individuals responsible for the latest wave of terror violence across Europe do not intend to survive the attacks in the first place and this is what makes stopping them so hard, FSB Major General Alexander Mikhailov told Vechernyaya Moskva. Head of the Bavarian Interior Ministry Minister Joachim Herrmann stated that the person, killed by the explosion in the German city of Ansbach was a Syrian immigrant, who moved to Germany two years ago. Mayor of German city of Ansbach Karda Seidel said that the cause of the explosion in the city center was an explosive device. "This is not a gas explosion, it was caused by a bomb," said Seidel. One person was killed, twelve others were injured (three of them having sustained severe injuries) by an explosion that hit a restaurant in the south German city of Ansbach in the federal state of Bavaria, local media reported. An unknown gunman opened fire in the city of Ansbach in southern Germany, according to DPA news agency.